An easy and convenient way to tote your tripod is with Cartom's Tripod Carrying Strap. 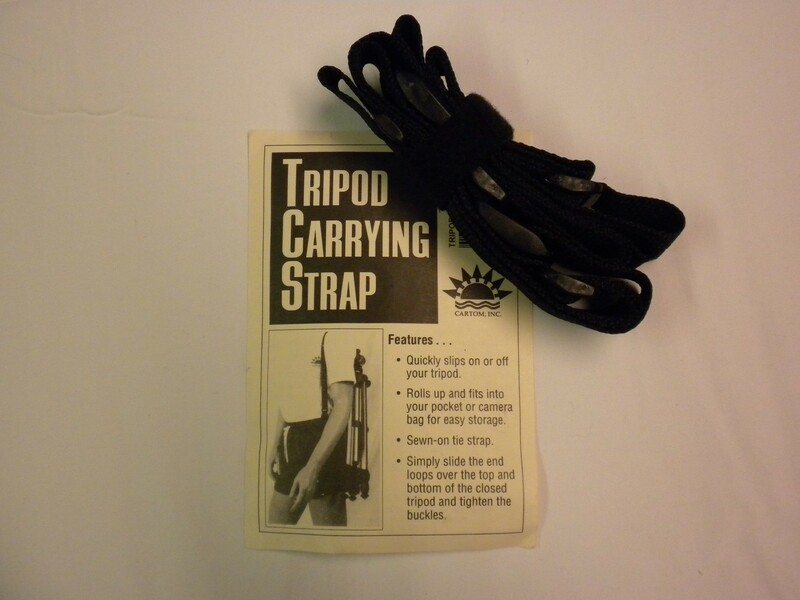 Like all Cartom products, the Tripod Carrying Strap is easy to use. The one inch wide strap is adjustable to provide maximum comfort, and it wraps up to fit in your pocket or camera bag when not in use. Great for on-the-go and outdoor photography.